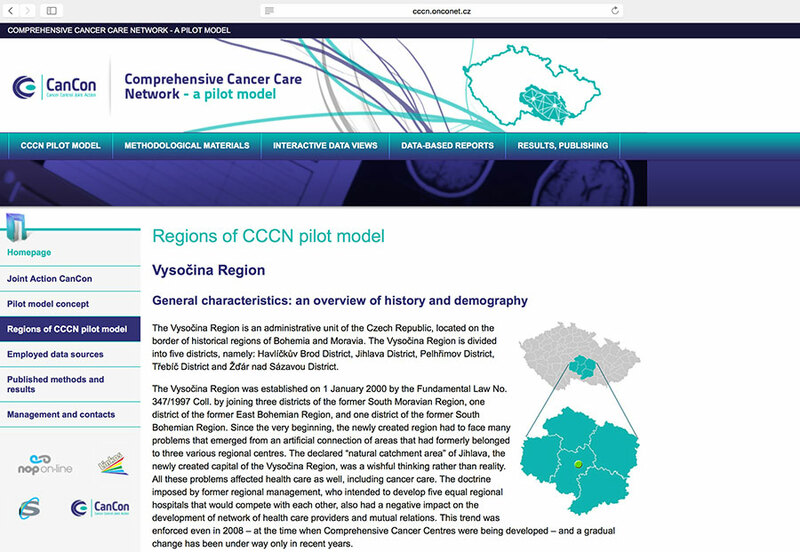 Based on the Czech information system of cancer care, the Czech Republic has been selected as a model country for the development of a Comprehensive Cancer Care Network (CCCN). Cancer care is a prime example of multidisciplinary medical service that requires integration and a certain degree of centralisation in order to ensure optimal use of resources available and to achieve optimal treatment outcomes. On the other hand, all patients with a certain type of cancer should be provided with the same treatment protocol without regard to the health care facility in which the disease was diagnosed. The Work Package 6 of the EU Joint Action CanCon focuses on the concept of Comprehensive Cancer Care Network (CCCN). Pooling of resources and a larger patient base would enable a CCCN to make rational short-term and long-term plans capitalising on complementary expertise of individual professionals, while avoiding unnecessary and costly duplications. This would provide, for patients nearer their homes, a seamless pathway of care that will be at the same time sustainable. A pilot model of such CCCN has been set up in the Czech Republic, namely in the Vysočina Region and South Moravian Region. The pilot model covers all components of cancer care: from cancer prevention and organised screening programmes through standard diagnostic and treatment procedures to follow-up plans; specialised rare tumours-focused care as well as palliative are also included.